This 11-day tour takes you through remote regions of Spitsbergen. Walk along serene beaches and sail through picturesque bays, straits and fjords, capturing the beauty of the amazing wildlife around! Visit the ice-capped Kvitøya island! Marvel at the spectacularly scenic ice-peaked high mountains in South Spitsbergen!! Today, we arrive in Longyearbyen, the administrative capital of the Spitsbergen archipelago, of which West Spitsbergen is the largest island. Before embarking on this spectacular journey, you can take a stroll around this former mining town, whose parish church and Polar Museum are well worth a visit. Early evening, the ship will sail out of Isfjorden. 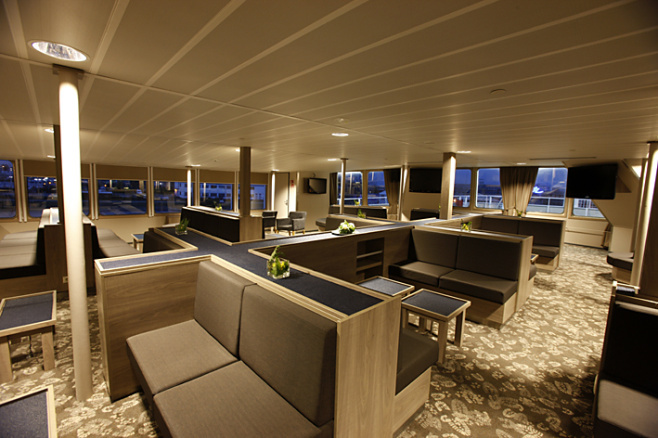 For the next nine days our stay will be aboard the M/v "Plancius", a vessel with 53 passenger cabins and a capacity to accommodate 114 passengers. Spitsbergen is an Arctic archipelago about 650 kilometers (400 miles) north of Norway. The archipelago ranges from Bear Island (74 degree N) to Rossøya (81 degree N). It is by far the largest wilderness area of Europe. It covers an area of about 62,500 square kilometers, which is roughly the size of Ireland. About 60% of the land is glaciated. As Spitsbergen lies far within the Arctic circle, it experiences the midnight sun from April to August. At this time of year the sun is above the horizon for 24 hours a day! Since 1925, Norway has sovereignty over Spitsbergen according to the international Spitsbergen Treaty. The Norwegian name for the archipelago is Svalbard. The name Spitsbergen was given by the Dutch explorer Willem Barentsz. The meaning of the name Spitsbergen in the Dutch language is "Jagged Peaks" because of the sharp pointed mountains that Barentsz met in the north-west of Spitsbergen. Spitsbergen, which has a population of about 3000 in 4 settlements, is to this day virtually an unspoilt wilderness. Imagine a place the size of Ireland with only about 50 kilometers (30 miles) of road! Longyearbyen has approximately 2000 inhabitants and happens to be one of the world's northernmost villages. It is a modern village with a wide range of facilities such as a supermarket, tourist shops, several pubs and hotels, a cinema, a swimming pool, a sports hall and a church. Longyearbyen even has its own university, the UNIS, that offers Arctic studies. Isfjord, with its vast tundra and abundant reindeer population, Longyearbyen and the Russian mining settlement, Barentsburg, gives one a very good opportunity to see Atlantic Puffins, Geese, Skuas, Svalbard Reindeers, Arctic Foxes and Belugas. Today, on the offshore island of Ytre Norskøya, we visit a 17th century Dutch whaling site, whose large graveyard is a reminder of the hardships and dangers of life here at the time. The island’s bird life is prolific, with colonies of Little Auks, Black Guillemots, Brünnich’s Guillemots, Puffins and Arctic Skuas accessible to visitors. Eastwards, we visit Raudfjord on the north coast of West Spitsbergen, a beautiful fjord dominated by spectacular glaciers and favored by Ringed and Bearded Seals. The cliffs and shoreline of the fjord also support thriving seabird colonies and surprisingly rich vegetation, which flourishes in sheltered spots. In the evening, we will sail by the island of Moffen where a big herd of Walruses can be found. On day three, we sail through Beverleysundet, named by William E. Parry in 1827 (the Swedish-Russian Arc-of-Meridian Expedition also sailed via Beverleysundet in 1898). On day eight, we will reach our northernmost point at Phippsøya, in the Seven Islands north of Nordaustlandet. Here we will be at 81 degrees north, just 540 miles from the geographic North Pole. Polar Bears inhabit this region, along with Ivory Gulls. Nordaustlandet (North-East Land) is the biggest island in the far north of Spitsbergen. Most of its surface is covered by a huge ice-cap. The ice-front of this ice-cap extends along the coast for about 150 kilometers. Nordaustlandet is completely uninhabited and is a nature reserve. In the coastal regions of Nordaustlandet and its adjoining islands, there is a great deal of Arctic wildlife. Here you can experience the real High Arctic, along with catching sight of Ivory Gulls, Arctic Foxes, Bearded Seals, Ringed Seals, Walruses, Polar Bears, Minke Whales and Belugas. Today, we sail towards the east, to reach that area of Nordaustlandet, where the Nobile expedition had drifted in 1928. It is also the area from where Captain Gennaro Sora, of the Italian Army Alpini ski detachment, tried to rescue the survivors of the Nobile expedition crash. Here, we hope to get to Alpinøya (reached by Sora in 1928) and then to the mouth of Finn Malmgrenfjord. Later, we move on to Albertinibukta. Next, we climb Soraberget (205 meters) from where we have a fantastic view of the ice-capped regions of Nordaustlandet. As an alternate plan, we may land at Storøya, where we may meet a group of Walruses. Day five will hopefully see us at the rarely visited Kvitøya further to the east, close to the Russian territory. The island is dominated by an ice-cap, which leaves a small area bare of ice and snow. We will land at the western tip at Andréneset (Swedish explorer André and his companions perished here in 1898). 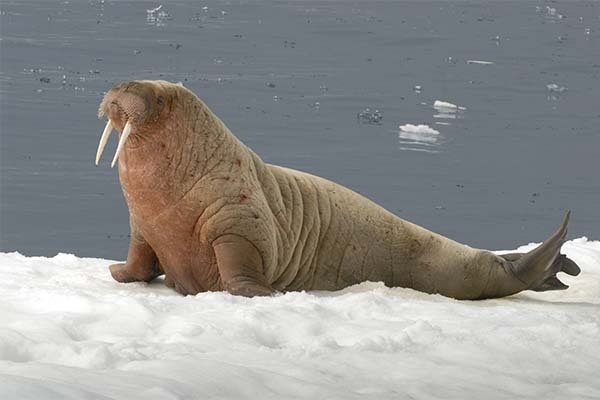 We will also try to get to Kraemerpynten in the east, inhabited by an enormous group of Walruses! Today, we travel towards the south of Nordaustlandet. We will try to land at Isispynten, a Nunatak area surrounded by glaciers. Later, we sail along the front of the Brasvell Glacier, the longest glacier front in Spitsbergen. Don’t forget to look out for the elusive Greenland Whale in Olga Srait! 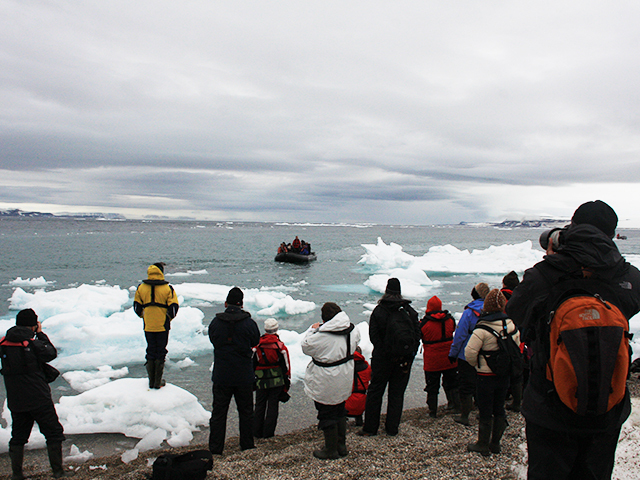 We will sail through the seldom visited area of Kong Karls Land, which is a Polar Bear reserve, where we are not allowed to land, but where we can make a zodiac cruise. Alternatively we land in Blafjordflya at the east side of Edgeöya, a vast tundra area with a lot of reindeer. On day seven, in Freemansundet, we plan to land at Sundneset on the island of Barentsøya to visit an old trapper's hut. After this, we take a brisk walk across the tundra in search of Spitsbergen Reindeer and Barnacle Geese. Later, we cruise south to Diskobukta on the west side of Edgeøya. After a zodiac cruise (a cruise where zodiacs, or small inflatable boats that have a capacity of around ten to eleven passengers, are used) through the shallow bay, we land on a beach littered with whale bones and tree trunks, which have drifted here from Siberia. We can also climb to the rim of a narrow gully, which is inhabited by thousands of Kitttiwakes, together with Black Guillemots and Glaucous Gulls. During the breeding season, the base of the cliffs is patrolled by Arctic Foxes and Polar Bears, especially females with young cubs, searching for young birds that have fallen from the nesting ledges. Barentsøya was named after the Dutch navigator Willem Barentsz. The island is situated south-east of the main island. Barentsøya is separated from the mainland by a couple of narrow seaways, including the spectacular Heleysundet. About 100 kilometers (60 miles) to the east of Barentsøya are the Kong Karls Islands. These islands, which are closed off for visitors, are main denning areas for Polar Bears. The pack-ice delivers large numbers of bears from the Kong Karls Islands to Barentsøya and also to Edgeøya. That is why these islands are particularly good for spotting Polar Bears. Besides Polar Bears one may spot many species of birds, as well as Arctic Foxes, Reindeers and Belugas. Edgeøya is the third largest island of Spitsbergen. Large varieties of landscapes make Edgeøya a very interesting place to visit. Canyons full of birds, whalebones dating back to thousands of years ago on beaches, green tundra with herds of Svalbard Reindeer, remains of Russian settlements and beaches where Walruses haul out, may be found here. As a result, one has a fairly good chance of seeing Arctic Foxes, Polar Bears, Walruses, Belugas and Fin Whales here! We start day eight quietly cruising the side fjords of the spectacular Hornsund area of southern Spitsbergen, enjoying the scenery of towering mountain peaks. Hornsund is an Antarctica-like fjord with jagged mountains and huge glacier fronts. One is sure to find the Brunnich's Guillemot, Arctic Fox, Polar Bear and Beluga here. Hornsundtind rises to 1,431meters, while Bautaen exemplifies why early Dutch explorers gave the name ‘Spitsbergen’ (meaning pointed mountains) to the island. 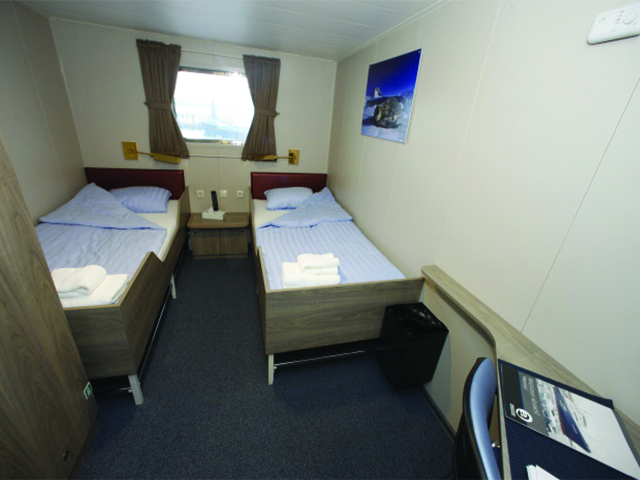 There are also 14 magnificent glaciers in the area and very good chances of encountering Seals and Polar Bears. If time permits, we may visit the Polish research station where the staff will give us an insight into their research projects. Behind the station, the mountains are home to thousands of pairs of nesting Little Auks. Today we land on Ahlstrandhalvøya at the mouth of Van Keulenfjorden. Here piles of Beluga skeletons (the Beluga is a small white whale) may be seen, the remains of 19th century slaughter. Fortunately, Belugas were not hunted to the point of extinction and may still be seen locally. In fact, there is a good chance that we will come across a pod of Belugas. In the afternoon, we will cruise into Recherchefjorden and explore an area of tundra at the head of the fjord where many Reindeers feed. Our arctic adventure tour ends when we return to Longyearbyen. We disembark, leave for the airport, catch the flight to Oslo and later head homeward.